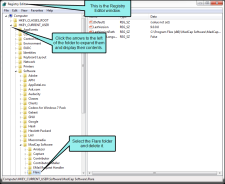 Following are issues that may occur when installing Flare. Installation problems can have a number of different causes. Below are some of the more common ways to solve a bad installation. Make sure there is enough disk space on the machine to allow Flare to be installed. Make sure the most up-to-date version of Microsoft .NET Framework is installed. Close all other running applications and programs. In the Task Manager, close all non-essential processes. 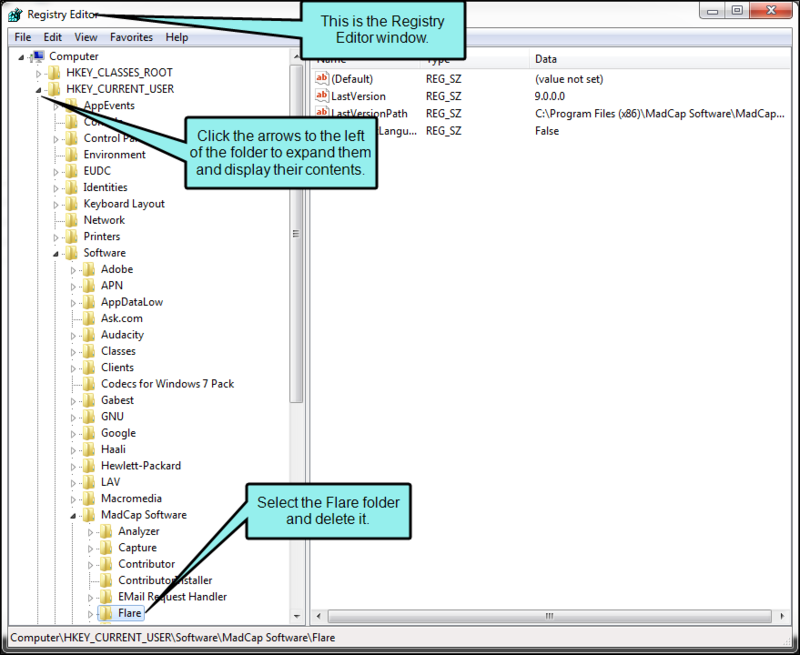 There may be a registry key from a previous version of Flare in the registry that needs to be removed. To remove it, perform the following steps. Click in the search field at the bottom of the Start menu and type regedit, then press ENTER. The Registry Editor opens. In the Registry Editor, expand the HKEY_CURRENT_USER file by clicking the arrow to the left. Under the HKEY_CURRENT_USER file, more files will appear. Expand the Software file. Expand the MadCap Software file. A confirmation window will pop up. Click Yes.